Budi Luhur Academy of Secretary: Ranked Accreditation A (Excellent/Very Good) from the National Accreditation Board of Higher Education (BAN-PT), also named as the Leading College in Special Capital City District of Jakarta and the winner of The Best ICT-Based Academy in Indonesia in TesCA Indonesia 2013 competition. Based on the noble wish to produce skilled, globally-minded, intelligent and virtuous secretaries, on the year of 1993, the founder of Budi Luhur Educational Foundation, Drs Djaetun HS established Budi Luhur Academy of Secretary.The Budi Luhur’s campus which has been known since 1979 as the oldest IT education pioneer in Indonesia, has sufficient facilities to support the educational process that gave birth to professionals workers in the secretarial field. Started from acquiring the status of “Registered” of the year of 1993 with the Decree No.98/D/0/1993, on the year of 1995 Budi Luhur Academy of Secretary acquired the status of “Recognized” with the Decree No.501/DIKTI/Kep/1995. Furthermore, the status of “Equalized” was received based on the Decree No.129/DIKTI/Kep/1999. 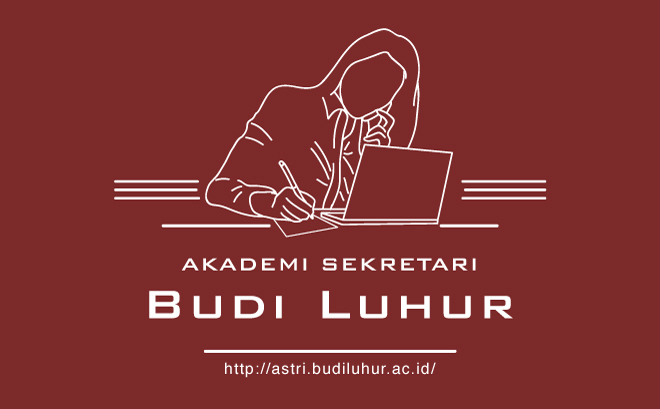 With the advancement of the progress made by Budi Luhur Academy of Secretary, then in 2002 the Budi Luhur Academy of Secretary was re-entrusted by the government through the National Accreditation Board (BAN) by acquiring the status of “Accredited” according to Decree No.001/BAN-PT/AK-I/Dpl/III/2002 dan diperbarui dengan SK Nomor: 011/BAN-PT/Ak-VII/Dpl-III/X/2007. Currently, The Accreditation status of Secretary Study Program of Budi Luhur Academy of Secretary is Ranked A (Excellent/Very Good) according to the decree of the National Accreditation Board of Higher Education (BAN-PT) No. 190/SK/BAN-PT/Ak-XIII/Dpl-III/IX/2013. The accreditation status is valid until 21 September 2018. Being the foremost secretarial institution of higher education in Indonesia with graduates who are intelligent and virtuous. To produce qualified, pious and virtuous graduates who have a core competency in the form of mastery of Information and Communication Technology (ICT) to complete the secretarial duties in a professional manner. To introduce the aspects and the work field of secretarial work intensively and practically, as early as possible.